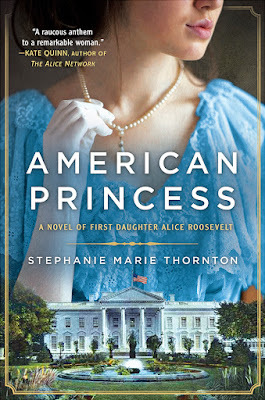 American Princess has a cover! I love that Alice Roosevelt's verve comes through--I can just imagine her at a White House dinner party getting ready to light up a Lucky Strikes cigarette or pulling her pet snake, Emily Spinach, out of her purse. Of course, pre-orders are always welcome and most appreciated!